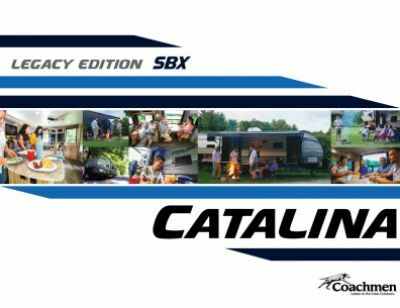 Camp like never before with the 2020 Coachmen Catalina Legacy Edition 303RKDS Travel Trailer! Gillettes Interstate RV offers low prices and affordable financing for all of our RVs. If you're looking for an East Lansing RV dealer, look no further and stop by 7210 E Saginaw St East Lansing Michigan 48823! If you would like to talk to one of our RV experts today, call us at 517-339-8271. Tow this RV with ease. This rig has GVWR of lbs. and a hitch weight of lbs. Relax under the cool shade of the 18' 0" awning! You'll love the master bedroom! With its comfy Queen bed and great furnishings, you'll enjoy your nights on the road as much as you enjoy all your daytime fun! There's enough sleeping space for up to 4 people!